Whom Do I Lead? 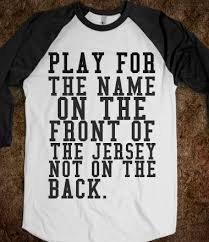 | "The front of the jersey..."
Home » Leading Self » Whom Do I Lead? 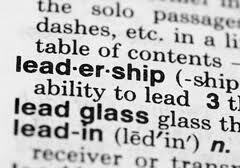 Webster’s defines “leadership” as “the capacity to lead” and “the act or instance of leading”. What is missing from this description is who is the “actor” and who is the “acted upon”. It would not be a stretch to assume that a random survey of people on the street might define leadership in terms of a two-person behavioral dynamic. However, once you begin to break down the core competencies and expectations of leadership, the human two-person dynamic is really a part of the overall process. A leader not only leads others, but also leads themself, their organization, and the ongoing organizational behaviors of performance, results, and change. Over the next several posts, we’ll get down into the weeds of each of these arenas in which leadership is practiced.